4) A scientific link between the two, showing clearly that radiation is the cause of mass die offs. After all with attention spans less than a goldfish, we need One Liners! 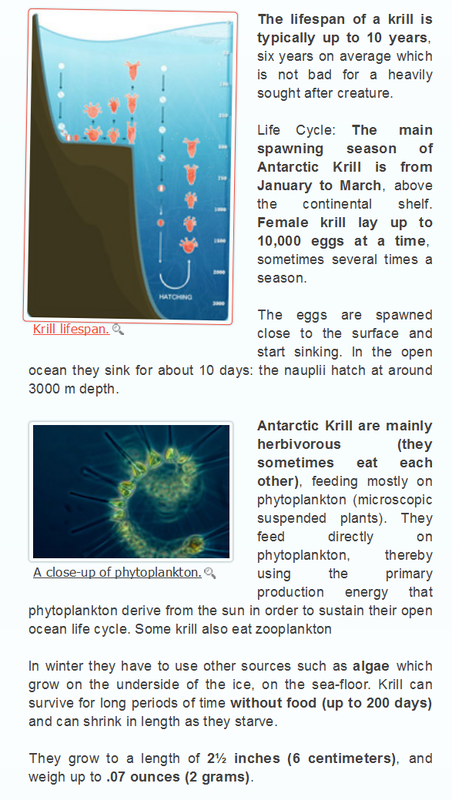 Krill are really cool, they are like a shrimp dinner for the whole ocean. Krill oil has just become really popular, but maybe we ought to make it unpopular, if we want to have an ocean food chain that functions. asking if radiological testing has been done. Got this reply. testing and cannot assume the Antarctic is radiation free. Our krill are sourced from the Antarctic Ocean, known to be the cleanest bodies of water in the world. Our krill are not exposed to radiation which is why we feel testing is not necessary at this time. Products most affected by radiation are those sourced off the coast of Japan, which were exposed to radioactive particles from the Fukushima disaster. Our krill are not sourced from this area. Currently the only product that is tested for radiation is our prenatal DHA product, showing undetectable levels with every batch. I hope that this information has been helpful. If you have any additional questions or concerns, please feel free to message me at vivian@vivalabs.com and I would be happy to assist you. Put in a call to Dr. Mercola's outfit and have not heard back yet. Would like to know as I need a good source of Omega 3's. Have to be careful with flax as lot of it is GMO. I am adding this to my Jay Cullen article ... you see his tweets (panic mode)? They are circling the pro nuke wagons , Jay is spamming the Globe and Mail link i posted in enenews. I see a lot more heavy hitters from the pro nuke side since the latest Tritium leak at Indian Point , not just noobs parroting the nuke cartel. I sense a disturbance in the force of the nukists!